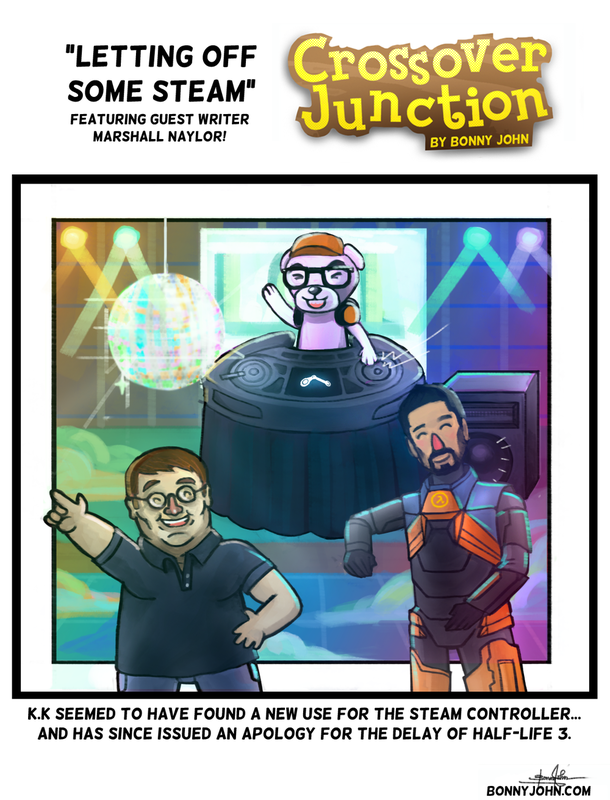 Crossover Junction is a web series started by Bonny John in September 2013. The comic web series features crossovers of various characters from the realms of video games, TV, films, anime/comics, and where ever else pop culture reside. The general realm of the world resides in the universe of "Animal Crossing", Nintendo's popular life simulator, as the main character, Mayor Bonny (not based off of anyone in particular *cough* sees to various (hopefully) funny antics when he interacts with random characters from all corners of popular culture.